A far-flung island resort at the tip of the Great Barrier Reef is hosting an incredible fishing event that will test the mettle of even expert anglers. 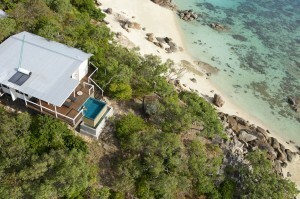 Few islands seem as isolated as Queensland’s Lizard Island; most northerly island resort in Australia, found towards the top of the Great Barrier Reef in a setting of stunning natural beauty. A long-time favorite of Prince Charles and one of the rumoured spots for the recent royal honeymoon, the resort has always catered to those who like a little luxury with their adventure. From October 1st to 8th this year, the island will play host to a truly exciting event for fishing enthusiasts – the 25th Lizard Island Black Marlin Classic, where anglers hope to land some of the world’s largest marlin. The Great Barrier Reef is located along the migratory path of these monster fish; from September to December each year, marlin swarm to an area of the reef between Lizard Island and the mainland city of Cairns, taking advantage of the bounty of tuna and mackerel available. 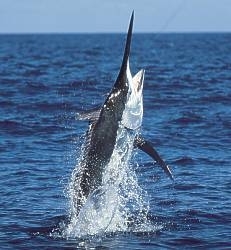 Some of the biggest marlin, dubbed “granders”, are 1000+ pound giants, and highly sought-after by heavy tackle fishermen. Since the reef is a protected area, however, contestants at Lizard won’t be taking home souvenirs to mount on their walls – black marlin fishing here is all catch and release. That policy does, however, increase the odds of landing a mega-fish! And there is plenty to enjoy about the contest’s setting, too – there are just 24 deluxe suites on the island, each in private surroundings and decorated in a breezy tropical style. The ultimate in island opulence, the Pavilion is Lizard’s most incredible suite, a deluxe villa perched on a hillside and offering surreal views of the beautiful Coral Sea. A variety of other accommodations are available, starting from $1160 AUD per night from a basic single-person Anchor Bay room. The resort also offers a pampering spa, and several dining options – Osprey’s Restaurant has a simple elegance paired with tasty fare like local seafood, a bar and lounge caters to those looking for a relaxed place to socialize, and guests can choose a romantic beachside meal for a romantic evening. The recipient of numerous awards, Lizard has had accolades bestowed by diverse magazines, including placing high in the 2010 Condé Nast Traveler Reader’s Choice Awards and the 2009 Travel + Leisure World’s Best Awards. It’s no wonder, as the incredible diversity of both the marine life and sporting activities makes the resort an unforgettable experience – and since there is no cell phone coverage on the island, a place where guests can truly escape from the hectic outside world. Next month, dozens of fishing enthusiasts will no doubt be excited to trade their Blackberries for black marlin!